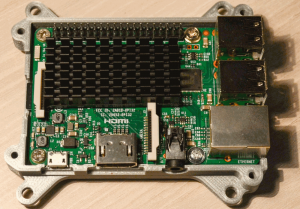 Raspberry Pi manufacturer has stated that you don’t need heatsink for the normal operation of the Raspberry Pi device, however overclocked or heavily stressed devices will benefit from heatsink installation. 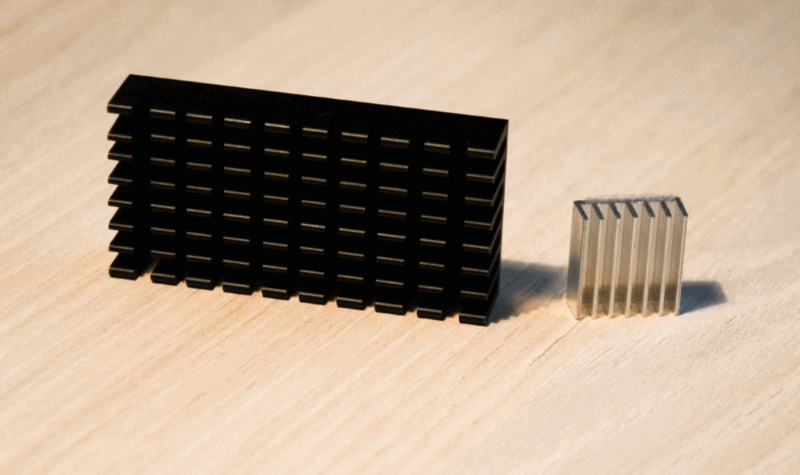 I decided to compare available heatsinks on the market and have found the best heatsink for Raspberry Pi 3. It has an adhesive layer for mounting on CPU. Mounting was done with Arctic Silver thermal compound and super-glue 🙂 Thermal compound was applied to the center and glue – to the corners of the chip. Please note that this will be a permanent solution, and you will not be able to remove the heatsink. For loading the CPU I used stress software (apt-get install stress). 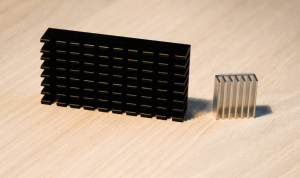 Red line – no heatsink. 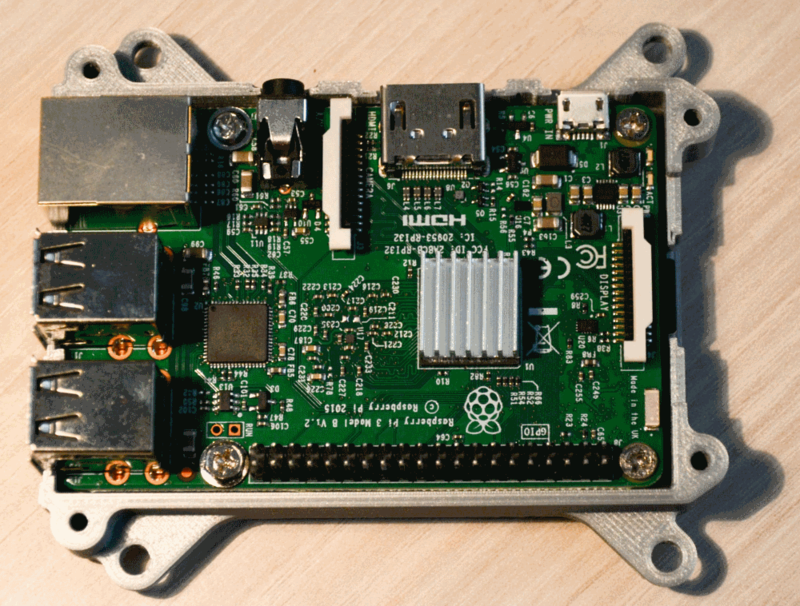 For a price of 1$ you can greatly improve temperature of Raspberry Pi 3 – by 8 degrees in idle state and by 13 degrees under moderate load. 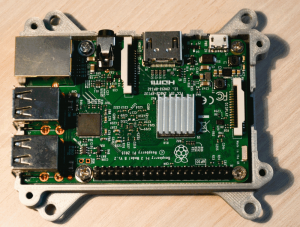 Thank you for sharing your results of RPi3’s thermal management testing. It would also be helpful to know the particular reason for employment of only 1 of the the 4 cores during your performance of the CPU stress testing. it would overheat 80+ C if running even 2 cores for 100% in 2-3 minutes regardless which heatsink you use, but that should not be a common usage scenario for Raspberry pi. Can I ask why you didn’t mount the cooler over the second chip cooling both hot parts , was it grounding out anywhere? That chip is ethernet/usb controller, which doesn’t require any cooling. Also the height was different from main CPU, so it would be impossible to cover with single heatsink.